The perfect way to get a baseball or softball game going anywhere theres room. Simply tap the anchors into the ground with mallet and attach home plate using hook-and-loop fasteners for a secure fit. Then use the measuring string (marked for youth and adult play) to measure pitchers plate and distance between bases. Just grab a bat and ball, and youre ready to play! 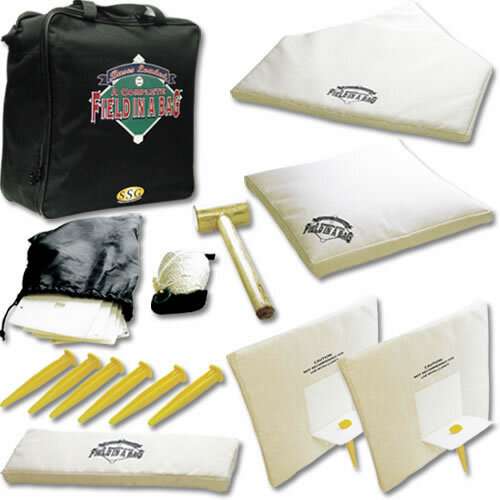 Set comes complete with 3 safe-slide bases, home plate, pitchers plate, measuring string, mallet, 5 anchors, and carry bag.